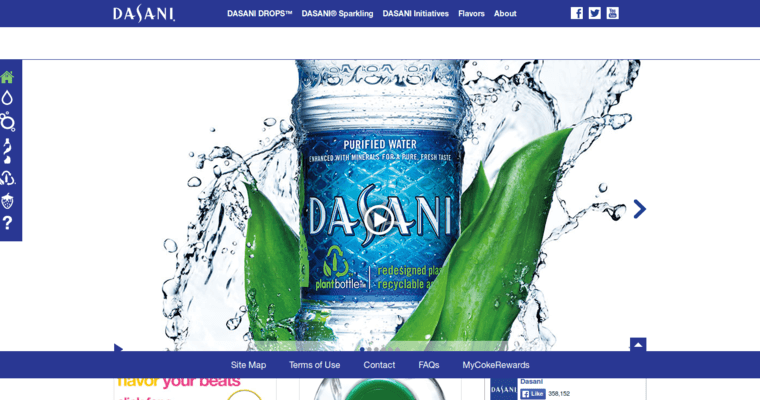 Dasani brand water is created by the Coca Cola company headquartered in Atlanta. To make this absolutely deliciously refreshing pure water, they begin with local water supplies. The water is then purified by reverse osmosis to filter out impurities. After this careful processing, Dasani's chemical scientists created a unique blend of naturally occurring minerals carefully selected to improve the taste of purified water. The result is naturally tasty and refreshing water, always calorie free, and the best drink for pure hydration and thirst quenching. Available in varying sizes and multiple packaging, Dasani also created a sparking water product available in six tasty fruity flavors. A no calorie alternative to soda, Dasani sparkling beverages are perfect for those who prefer a bubbly water with just a hint of flavor. 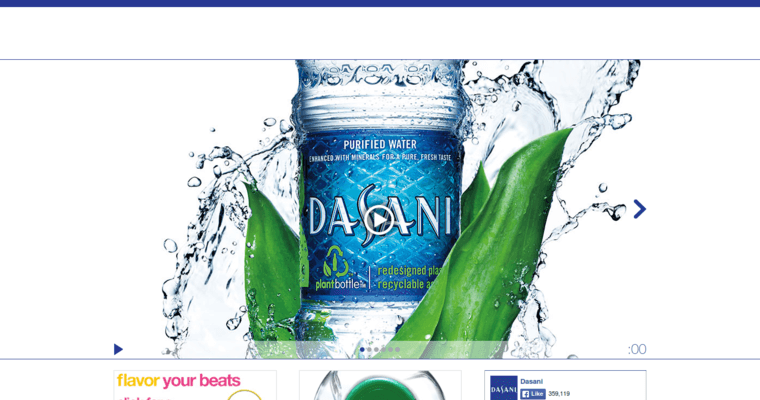 Dasani is dedicated to the environment and all of their bottles are created with at least 30% recycled plastic from plant sources.